The inescapable sensation that is Elysian Shadows has not only attained it’s funding via Kickstarter, it has also ignited a mighty flame all over the Dreamcast scene as a whole with the announcement of ESTk (custom game development engine). Elysian Shadows team has been extremely busy over the last several weeks trying to generate as much hype as possible for their upcoming 2D Action RPG and in turn triggered a resurgence in main stream interest for the Dreamcast like never before. 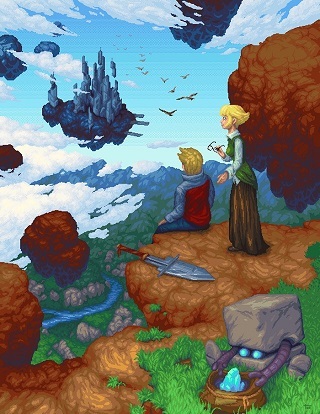 In 2011, Sturmwind proved that Dreamcast was the phoenix of video game consoles when RedSpotGames revealed the game publicly on national television in Germany and it even earned a public endorsement from SEGA however the boys at Elysian Shadows have taken things to the next level with their border-less style of development with a team composed of members literally spread across the globe which has lead to global coverage. Falco Girgis (team leader) is joined by an equally passionate band of developers that consist of best friend Tyler Rogers (lead gameplay engineer), Patryk Kowalik (lead artist), Daniel Tindall (web developer), Leandro Tokarevski (artist), Eddie Ringle (android aev) and Connor Linning (sound engineer). Most recently, they were featured on WHNT19 (that’s an American TV Channel!! ), as well as the August cover for Indie Game Magazine (that’s a print magazine!!! ), they were even interviewed on RedBull.com (that’s an Energy Drink!) and last but certainly not the least team lead Falco Girgis participated in Sega Nerds first ever half naked Nerdcast (that’s half naked!!). 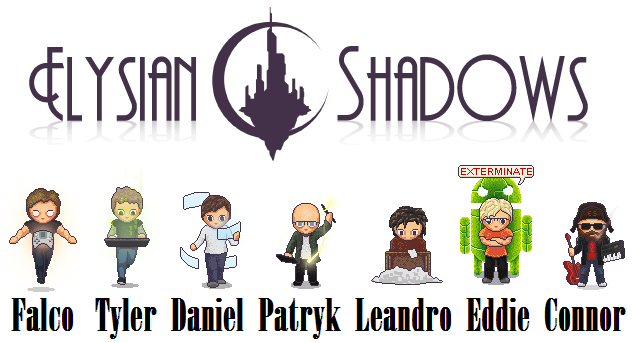 Ultimately Elysian Shadows success is rooted in the developers YouTube channel primarily with their raw game dev series Adventures in Game Development. They also premiered a spin off show titled Adventures in Graphic Design with Patryk Kowalik. 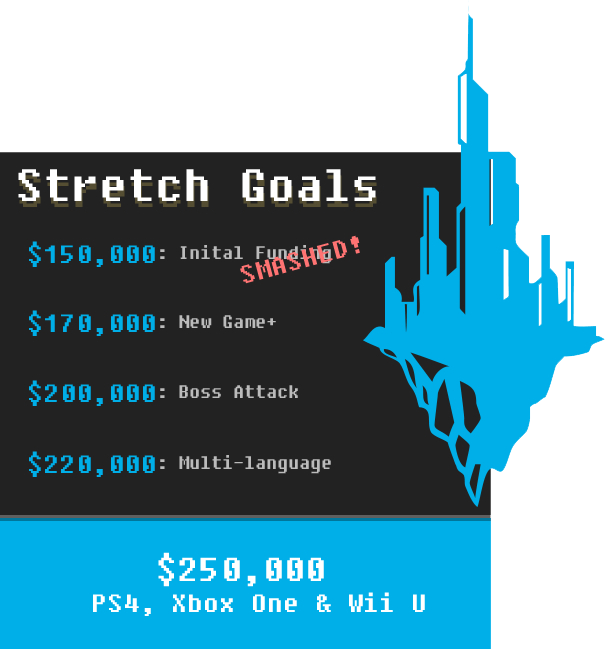 To keep fueling the fire the developer has added more custom Dreamcast rewards as well as new stretch goals to make the upcoming project even more irresistible! Elysian Shadows is history in the making and you can be a part of it by supporting their Kickstarter which ends in a week. Update 1 August 24th/2014: We have just been informed that Elysian Shadows has set a new record for Ouya free the games fund as well as Alabama’s Kickstarting record for raising the most money.